This time of the year, in central NC where I live, chrysanthemums are popular for fall planting. It takes a certain amount of optimism to plant mums when too much late heat or too early hard frosts take their toll. Kind of a Goldilocks dilemma as in, this day was too hot to plant and this day came on too cold too soon but sometimes the timing can be just right for glorious mums. Oh, what wonderful pictures of these beautiful flowers ! So many beautiful mums. They make a lovely display. Thank you for sharing with Today's Flowers Carver and have a happy weekend. Wow! So many in bloom. Looks fantastic! 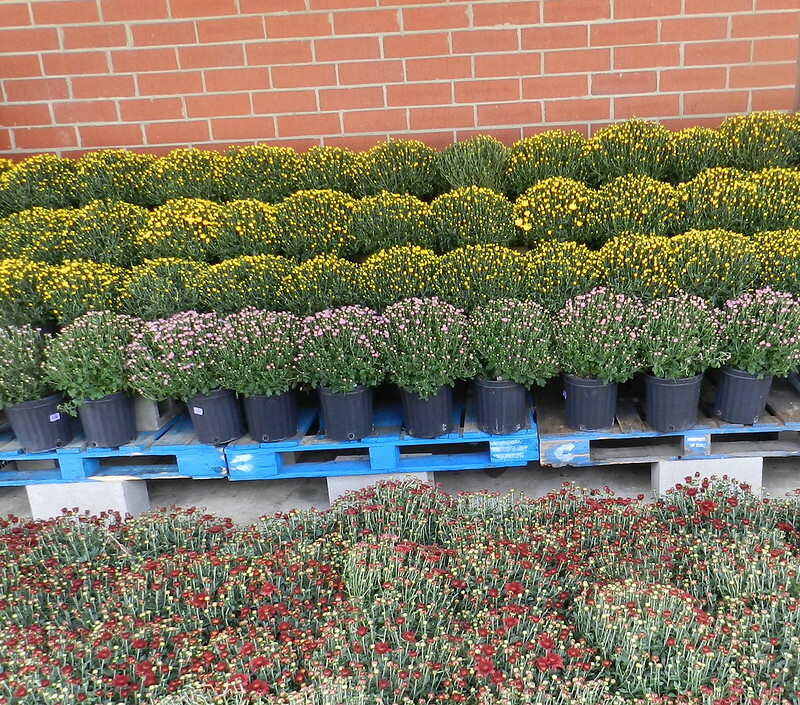 Oh yeah, it wouldn't be fall without mums. cool images. Lovely! They're very popular here too. I love the first image!!! It's like the plant is exploding with blossoms!!! All so pretty row upon row waiting to be bought. 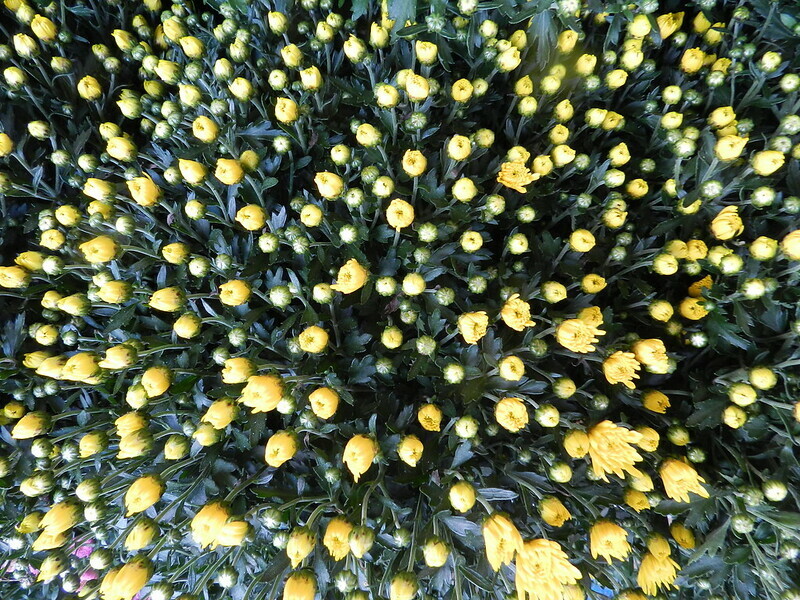 I have kept such mums in their pots where they have bloomed in the early fall over and over again for many years. I really like the texture in that first shot! They are gorgeous -- someone's optimism really paid off. Thanks for sharing. The mums are popular, also the fall asters. I have a nice golden mum in a planter that has just started to bloom, the ones you photographed are insanely loaded with flowers.